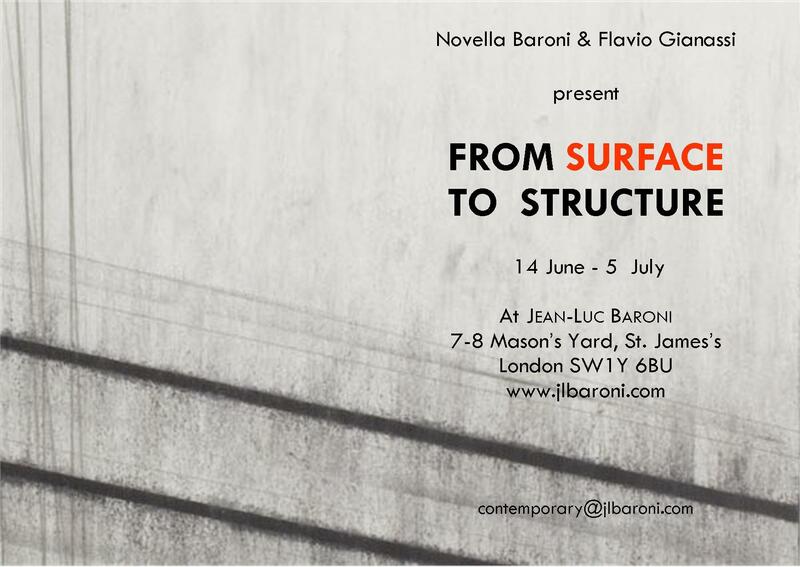 Up in London this week delivering my work to Novella Baroni and Flavio Gianassi at the Baroni Gallery for the forthcoming From Surface to Structure: An exhibition of drawings and sculpture by six contemporary European artists. Drawings by Adrien-Angelo Bastien, Sandra Beccarelli, Dianne Kaufman and Fiona Robinson; sculpture by Matteo Baroni and Mark Beatie, Very exciting to see the space and meet three of the other artists in the show. I spent the rest of the week in London and managed to see the Barocci Exhibition at the National Gallery and the Picasso show at the Courtauld. Wonderful stuff! Federico Barocci (c. 1533–1612) was an extremely accomplished draftsman as well as painter. Despite having studied Italian Renaissance painting when I did my BA I was not familiar with his work. I found one or two of the portrait studies a bit saccharine, in particular the study for Mary Magdalene where the warm skin tones reminded me a bit of Renoir’s Girls at the piano. The study, in the same row for the head of St John the Baptist has similarly rosy cheeks but the greenness of the skin tones suggests that maybe, like many Byzantine Madonnas, the colour has deteriorated over time. It is painted in oil on paper lined with linen which puzzled me as a combination couldn’t work out which was the top surface. The study for the head of Nicodemus which is also in this row of studies was very beautiful, startling in its strength, depth of emotion and modernity. All these studies were for the Entombment of Christ 1576 – 82. 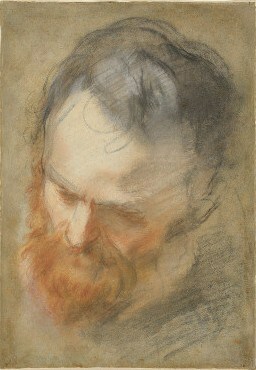 Federico Barocci, Head of Nicodemus. Lots of the drawings in the exhibition appeared to have been done from life and on cheap greenish paper which looked like modern sugar paper so it is interesting to think that Barocci never meant these works to be seen outside his studio and here they are on display in one of the most prestigious art museums in the world. In the painting of St Francis receiving the Stigmata the drawings of the trees were wonderful, so full of life and movement and there were some framed studies of trees too which had a similar vibrancy and immediacy. Next stop the Courtauld Gallery to see the Picasso exhibition. I love the Courtauld exhibitions, usually just two rooms worth of the most astounding work and so you can really immerse yourself in the work without getting gallery/eye/foot-lag! I saw the Child with a dove for the first time and there were many of the poignant introspective works from Picasso’s blue period. The exhibition is on until May 26th so still time to go and see it. What to do when it rains!